Today is Holy Thursday in the Christian tradition. It is a day marked by three themes: the chrism or the oils, a sign of the priesthood; the meal done in remembrance of the Passover; and the washing of the feet of the guests at table. Most of us do not remember our own baptism; but, maybe in having witnessed a baptism, we recall that it is not only the priest who is anointed with oils at his ordination—the oils anoint us at baptism as well—if you die with Christ you shall live with Christ. The celebration of Eucharist is a remembrance of the dying and rising of Jesus—eat my body and drink my blood—the ultimate sacrifice of self for other; unless I die I remain but a single seed, a single grain. My focus this morning, however, is on the washing of the feet. A tradition among the Brothers was a weekly activity called the “exercise of pardon.” Brothers in the community sought pardon from each other for their offenses of the week. On Holy Thursday the “exercise of pardon” was done for the year. Fifty-two years ago when I was a novice Brother, some twenty-five 18 and 19 year olds like me gathered in the Chapel at Narragansett on this day and washed each other’s feet and asked each other for pardon. 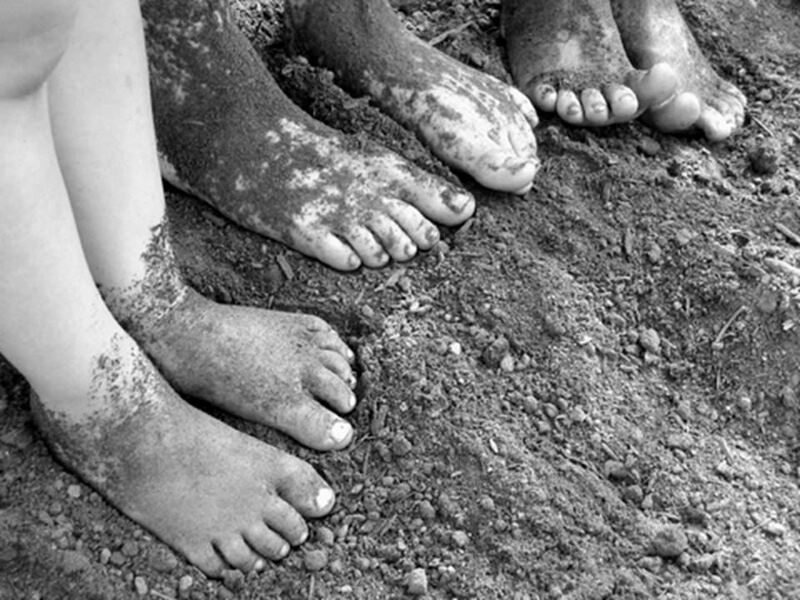 There is something special, something unique about our feet—think about your feet for a moment and picture them. They are often not the nicest looking; for some of us they are well-worn and tired; some are large and some small; some feet have bunions or broken toes or warts or other disfigurements. Some feet can run swiftly; others shuffle along. Some are calloused from heavy use and have the odor of sweat and hard work; others are soft and fragrant, pedicured and painted. We generally hide our feet and keep them covered, in socks and nylons, boots and shoes, sandals and slippers. Those feet are us! Each of us is broken and deformed in some way; we are imperfect as our feet are—it is part of what it means to be human. When Jesus knelt at the feet of his friends he was telling them that he loved them in all their humanness. 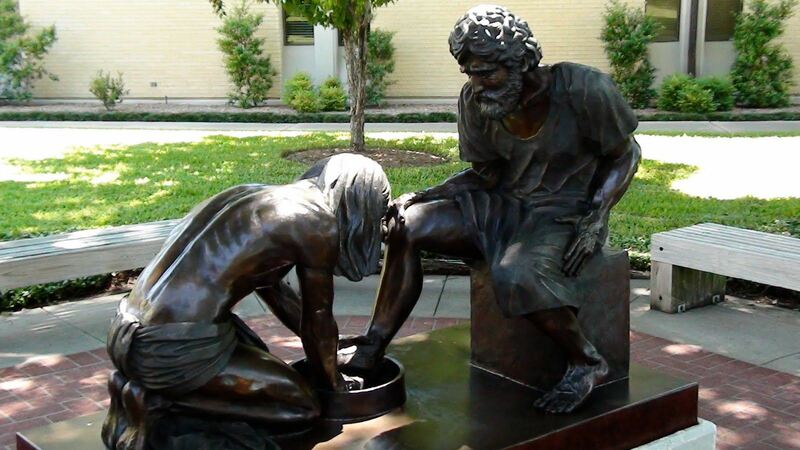 Peter said to Jesus—“You will never wash my feet.” Was it pride? Was it fear of having his humanness discovered? Was it embarrassment? 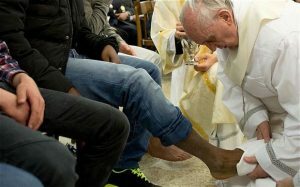 Jesus answers: “If I do not wash your feet, you cannot share life with me.” If you do not allow me to embrace you with all your warts and all the dirt of your life’s travels, you cannot be my friend—I can only love you as you really are. I cannot really love the painted façade, the pedicured and perfumed. And then Jesus tells us that we must wash and embrace each other’s feet. Unless the seed fall into the ground and die, it remains but a single grain—unless I put aside my pride, unless I embrace my own woundedness and that of my brothers and sisters, I will never lead others to fullness of life. Am I willing to accept myself and others in brokenness, in imperfection, with all the idiosyncrasies, and annoyances, and hurts we experience in ourselves and in others? Jesus invites us, challenges us—to embrace our own feet and to embrace our own selves, whether we be glamorous or plain, athletic or clumsy, artistic or color blind, musical or tone deaf, very bright in academics or struggling. AND, Jesus invites us, challenges us—to embrace and respect and honor the diversity around us—the young man or young woman who is wealthy and drives a sporty car and the one who takes the bus, the most popular kid in our clique of friends and the kid who hangs out on the edge, the star athlete and the bench warmer, the lead actor and the kid with the bit part. Each of us, each of you is of worth—God embraces you as you are; God embraces me as I am. Should we do anything less? 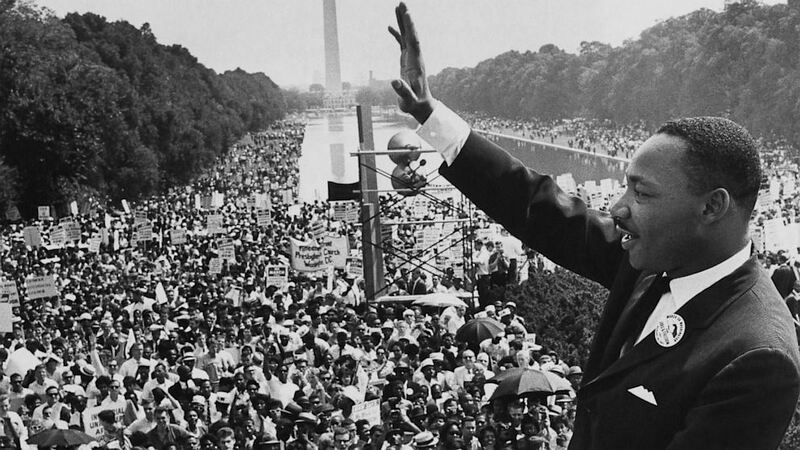 So, think about feet today—think about how unique each of us is—think about what it would mean to really respect and honor and care for each other, as we are, in bare feet so to speak. And when you wash your feet tonight think about our God who lovingly washes and embraces us regardless of how grimy or soiled we think we are. 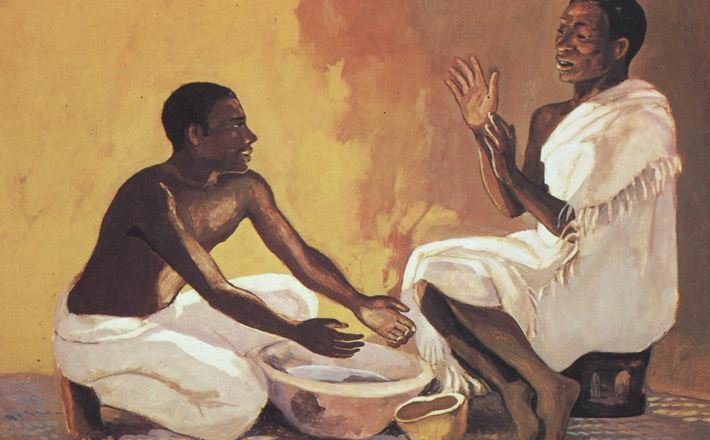 Make this Holy Thursday really holy—and, like the young Brothers your age did some 52 years ago symbolically, find a way to forgive and ask forgiveness of those whom you have hurt and those who have hurt you. Bring that to the Cross tomorrow and Jesus will bring you to new life on Easter Day. 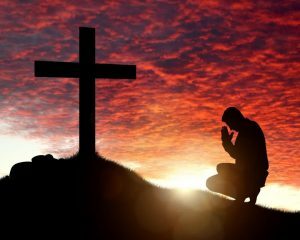 Let us pray: Jesus, you swallowed your pride, took off your cloak, and knelt at the feet of your disciples as a servant. Help us today to be people of feet who accept ourselves and each other in all our humanness, with all our imperfections, with all the warts and callouses and bruises of our lives. AMEN. Live, Jesus, in our hearts…forever. I would like to introduce you to my friend Megan from Meeting Street. Megan is not like all of the other friends in my life. 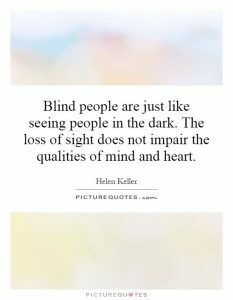 She is blind and spends most of her time in a wheelchair. She sees life from a very different perspective and her magnifying glass through which to examine life is formed by the four senses she has been blessed with. Walking into Megan’s classroom every week, I begin my visit with a joyful hello, informing Megan I have arrived and who I am. As she recognizes the sound of my voice, she extends her arm, grabbing my hand and saying hello. The softness in her grip and the calm in her voice remind me of how much Megan has to offer the world. Her great compassion, sense of humor, intelligence and friendliness makes her a friend to all of the people that surround her. My time spent with Megan has taught me that the people that matter the most in life are the ones that relate to you in the most unique ways. When I am in the presence of this wonderful girl, our conversations are never ending. I could babble on about my day and she would sit there and listen, waiting to tell me a joke. Our friendship is built on love, loyalty, and compassion for one another. Of course, our physical appearances and boundaries may be different, along with our intellectual ability to obtain traditional or academic knowledge, but that does not prevent us from being true friends and sharing our opportunities with one another. 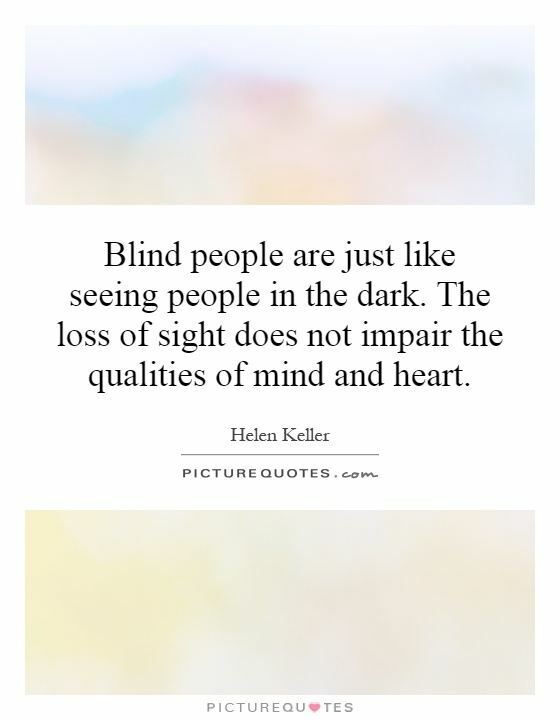 Like Helen Keller said, someone who is blind is not impaired in the mind and heart. Today we celebrate Spread the Word to End the Word at La Salle Academy, where we will try to spread the mission to end the use of the derogatory R-word. I encourage everyone to take the pledge, because in not just refusing to use the word yourself, but in educating others about why it is so hurtful, you are committing to looking at people for their personalities and hearts, rather than their physical image or worse, their limitations. Lord, give us the power to see beyond the physical barriers of individuals and give them the opportunities we give everyone else around us. Allow us to open our hearts and treat everyone equally. Let us all spread the word to end the word. 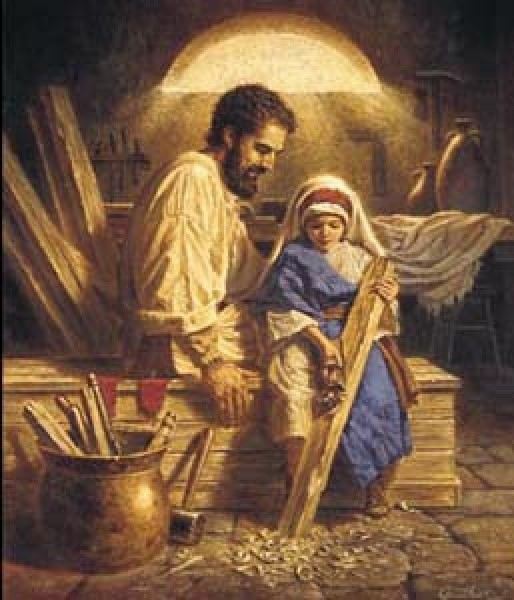 Today is the feast day of St. Joseph, the patron saint of fathers and the universal church. He is the foster-father of Jesus and husband to the Virgin Mary. It would be appropriate for us to remember our own fathers this morning, both living and deceased. If your father is deceased, we pray that he finds comfort in knowing God face-to-face, and experiences everlasting peace in heaven; may you be aware that he is watching over you today. If your father is still alive, wish him a Happy St. Joseph’s Day. Tell him that you love him, in person, by skype or by phone. 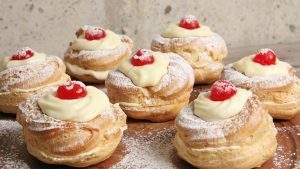 Try to do that in the next 15 hours, maybe over a shared zeppole for dessert tonight. Don’t wait… before it’s too late. My own father is turning 90 years old this August. In his own quiet way, he taught me how to be a father. When I was growing up, he taught high school Spanish in Winnetka, Illinois. Although I didn’t realize it at the time, he was serving as my role model for my own teaching vocation, even though I swore I would never be a high school teacher during my teenage years. Your Father in heaven will surprise you sometimes, in his Divine Providence. Anyways, together with my mom, he helped me develop a love for learning and dug deep into his pockets to let me attend my first-choice college (Northwestern University), which was more expensive than the state university that my parents attended in Champaign-Urbana. He exhibited great patience as he taught me how to drive a car with a stick-shift. He dragged me out of bed during the summers to play tennis at 6:00am every morning. And still to this day, he mails me weekly envelopes filled with practical advice on health, wealth, and what Pope Francis did last week, courtesy of the Chicago Tribune, the Chicago Catholic, the New York Times, plus every coupon you could imagine. My father, John Martinez, taught me how to be a father. You really can’t buy a book or watch a video called, “How to be a good father.” If you believe there is such a magic-wand, you’re a fool! You have to watch and learn from fathers–your own, your grand-fathers, my father-in-law, any father worth his salt–often by trial and error–what I call experiential learning. And so as I reflect back on my own 5 children–Michael, Christina, Marianna, John and James–I’m proud of how they turned out (due mostly to the influence of my wife), and ask their pardon for any deficiencies or shortcomings I exhibit as their Dad. However, the best part for me has been becoming a grandfather. I love watching my oldest son, Michael, raise his two young children–my grandson Zachary, 20 months old, and my grand-daughter, Elsie, who turns 6 months old on Palm Sunday. It’s a sign to me that I did okay as a dad, and that I gave my own son the greatest gift he could possibly ask for–the tools necessary to become a good Dad, himself. 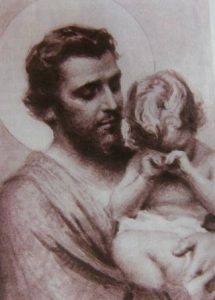 St. Joseph–you accepted God’s plan for you in a dream, that you should enter into marriage with the Virgin Mary, and raise lovingly the child Jesus, the Son of God, who was conceived by the power of the Holy Spirit. May you watch over all couples experiencing difficult pregnancies. Because you were attuned to Divine Providence, you whisked your child and wife away from Bethlehem, becoming refugee immigrants in Egypt, to protect them from the wrath of King Herod. St. Joseph–may you grant hope to immigrants today, who are escaping from terror and violence in their father-lands. And may you watch over all our fathers, both living and deceased. 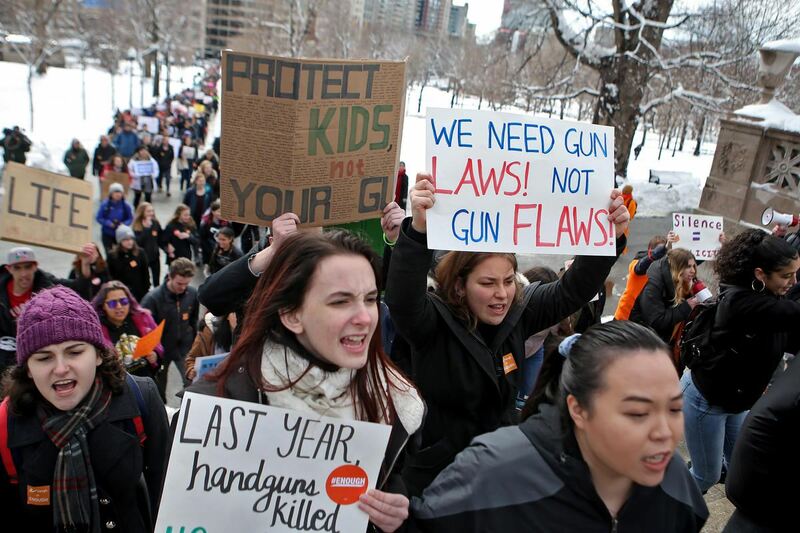 Watch over the young men in our student body. Guide and strengthen those who will marry and become fathers some day. May they imitate you St. Joseph, in the same way you cared for Jesus and Mary.